If you read my blog regularly or follow me on social media, you may know that for a while now, we have been planning a fairly big house move- not just around the corner or to another part of our city or county even, but a big move to an entirely different part of the country. It's something we had been thinking about for a while, mostly due to the nature of Mr F's work. He's a national manager for a very well known German distribution company and as a result, he works all over the country, but mostly around the East and West Midlands. At the moment we live in a lovely rural area but it's on the outskirts of a not especially nice city in Yorkshire, and while we adore the area surrounding our little house, we are literally a stone's throw away from somewhere where we personally no longer want to live. I moved to Yorkshire when I was 17 and bar 3 years away at university in York, I have remained here since. Mr F on the other hand, has lived here his entire life and never ventured further afield bar work trips and holidays away. We have lived together since 2009, the year before we got married, when I moved into Mr F's house in a town about 10 minutes away from here. In 2011, we decided we wanted a bit more space and our own garden, so we bought our current house, a terraced barn conversion, in the village where I was teaching in the local primary school. It's a house we have loved dearly- in fact, it's by far my favourite house I've ever lived in (I've lived in well over 20 houses during my 30 years). We have loved and cared for this house, and really made it our own through saving up for ages to decorate it gradually, install a new kitchen, re-style the garden and just make it a space we can call our own. But there comes a time when sometimes, you just need a bit of a change and a bit more space. After Little L was born in January, we decided to put the house on the market. 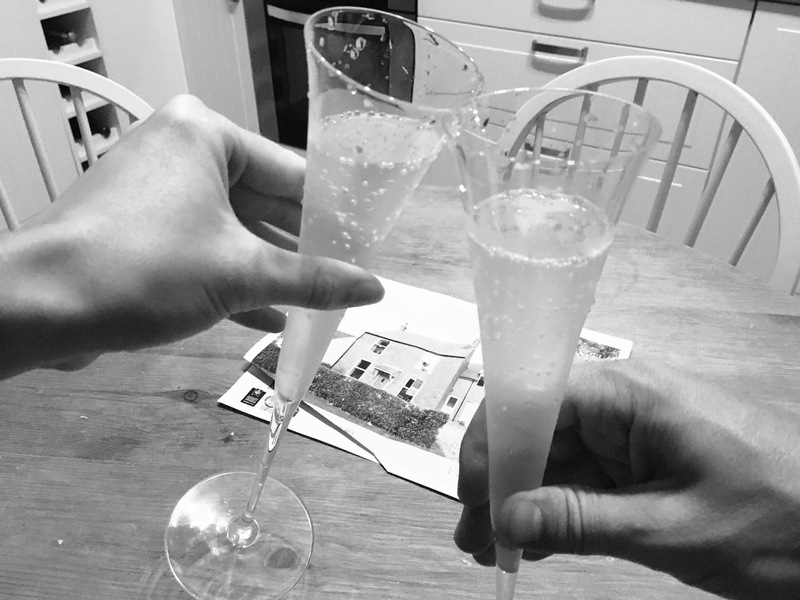 It wasn't a decision we took lightly at all, but due to Mr F's demanding travel schedule for work and me being here with our two boys, we felt the time had come to have a bit of a shake up, plus the fact that we are starting to outgrow our house. When we put the house up for sale in early March, we totally underestimated how stressful it would be to sell a house, particularly with two young children. The endless tidying up, living life like we are in a show home, having viewers and time wasters coming around to look at the house and escaping the house while Mr F did the viewings has taken a toll on us over the last 6 months. We found it utterly exhausting and much of our time was spent fretting about house viewings. I am extremely house proud and like it to look its absolute best when people come around, and enjoy tidying and cleaning my house from top to bottom, but sometimes, with two young children, there's other more important things to worry about and so doing a mass cleaning session late at night is sometimes the only way. It's also meant that my little space on the internet has had to take a bit of a back seat lately, as I just haven't had much time or energy to blog or take photos. So since March, this routine of living in a show home, opening up our house to potential buyers (and also a lot of time wasters just coming for a nosey as something to occupy their Sunday afternoons) has become an ordinary part of our family life. It's been draining and utterly exhausting. We have felt disappointed that we didn't sell as quickly as estate agents predicted we would. We have also therefore been to look at lots of houses ourselves, fallen in love with them, and lost out on them because we weren't in a position to buy yet. But recently our luck changed... About 10 days ago, just before we went away for a long weekend to Somerset, we got a call asking if a young couple expecting their first baby, could come and look around. I ended up having to do the viewing as Mr F was away, so I spent forever tidying and cleaning, sent the boys to their Granny's for a couple of hours and showed them around. I could tell they really liked it, and more importantly, they had already sold, so were chain free. The following day, they put in a really low offer which was exciting in one way but disappointing too as it was so low. Then this last Tuesday, when we were away in Somerset, they called again, wanting to increase their offer. Mr F and I were sat in the car outside Wells Cathedral which we had just visited, and so the negotiations began. Before we had even reached home, we had agreed a price and accepted. We had sold! We were both over the moon but at the same time I felt hugely emotional. It suddenly felt quite real, and it hit me that we would be moving imminently. All the worries I have had came to the front of my mind- the fact we would be moving to a new place where we literally know no one, we are moving away from my in laws and my youngest sister who has been such a support to me with the boys, and who I will miss so so much. The fact that I would be moving away from my amazing group of mummy friends and LO's little pals who he sees so regularly, made it all quite bittersweet for me. I then started thinking about our little house which we love so dearly- our wonderful neighbours who are so kind and caring, the memories we have made here- it's the place we brought both our babies from from hospital to, and it even makes me feel a little teary now thinking about that. When we moved to our current house, we decided not to sell our old house and rent it out instead. Over the past 6 years it has been a real burden and being a landlord is not an easy task. And so to add to the stress of selling our own home, we also decided to simultaneously sell that one too. 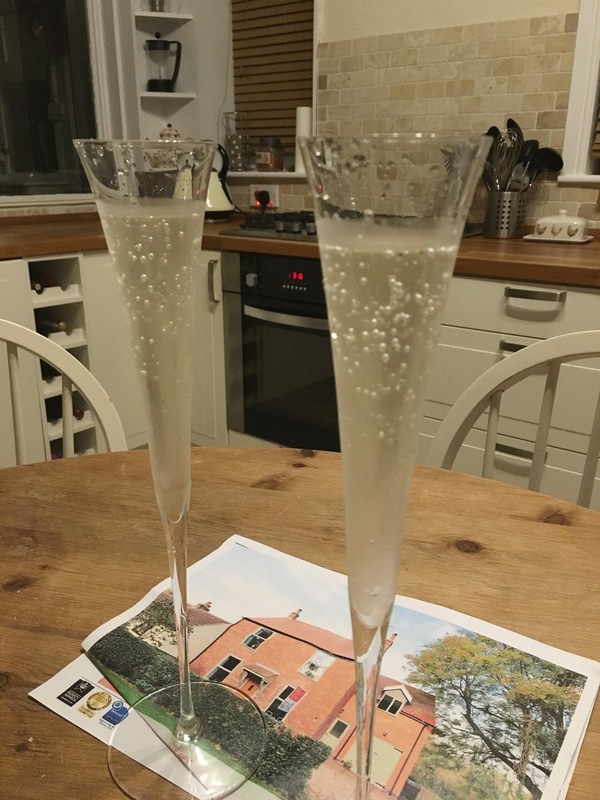 So on Thursday of this week, we couldn't really believe our luck when we then got an offer through for that house too, albeit much lower than the asking price, but we received an offer and that was the main thing. It means we can start afresh with just one house to worry about, and loosen the purse strings a little to be able to buy a few new bits and do the odd bit of decorating to our new home when we move. Having sold both houses in the space of 48 hours, we booked to go for a second viewing at a house in Lincolnshire which we have had our eye on for a while. It really was a spur of the moment trip but as soon as we arrived, we knew it felt just right. After a really good look around the house, we made the call to the estate agent and put in a bit of a cheeky offer, and then proceeded with the nerve wracking process of negotiating an acceptable price. After a bit of a nerve wracking 7 hour wait, the agent finally got back to us to say that our offer had been accepted, chain free, and that we would be proceeding with the sale. And so that is the story of how we sold two houses and bought another all in the space of 5 days. We are both so over the moon but also nervous too- an excited sort of nervous. It's a whole new chapter we are about to embark upon, in a completely new area which neither of us know at all. It's a place where we will make lots of new memories and spend our most ordinary of moments with our little boys and even though it feels quite bittersweet, it's also hugely exciting and I can't wait to begin our own new little adventure together- a whole new chapter in our life as a little family. Wonderful news. I hope the move goes well. Sorry we missed you yesterday.